TNA Parleamentarian M.A. Sumanthiran insisted that nothing short of a new constitution will help resolve issues, even though not all the problems of the Tamil people can be sorted by such a move. 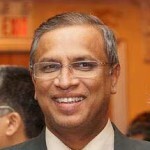 Sumanthiran speaking in Sinhala on the subject of Constitutional Reform in Galle, insisted that the Sinhala majority must accept a new constitution. ‘In a country with a permanent majority it is important to share powers of governance in such a way that all peoples have equal citizenship rights. Sri Lanka’s Sinhala majority must itself acknowledge injustice of simple majoritarian rule and clamor for reform and justice for other peoples,’ he further stated. A Bit Embarrassed, To Say The Least!